The current year is two-thirds finished, and the good news is most notable by its absence. Sales are soft, earnings elusive. Hot new items are few and far between. Growth is nowhere to be seen. Meaningful executive job shifts have been all but absent. Mergers and acquisitions have failed to materialize — and even those that appeared certain at the start of the year have come undone. Yet all is not lost in 2017. The leading drug chains continue to lead, while the strongest regional players remain strong. Pharmacy, the backbone of chain drug retailing, remains vital, while the core drug store categories are as dominant as ever. Looking beyond the traditional chain drug category, one fails to see the old guard gaining any new momentum, with the exception of the nation’s grocery retailers, who are, in the main, enjoying a rebirth. True, Walmart and Target Corp., the traditional leaders, are regaining some momentum, but they still face stiff challenges as they attempt to regain past glory. Only the so-called “value” retailers appear to be gathering momentum, primarily at the expense of the chain drug and discount retailers. 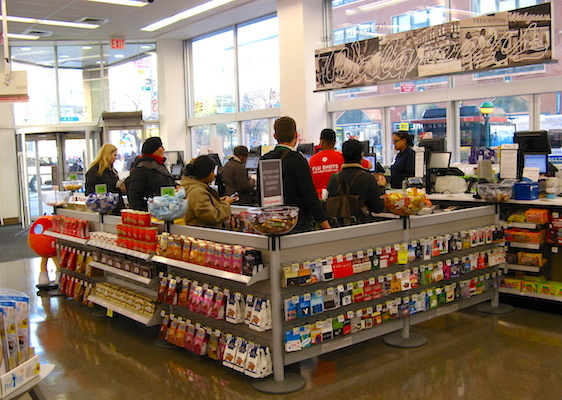 Still, in a disappointing retail year, some drug chains have surprised — pleasantly. America’s two leading drug chains, Walgreens and CVS Pharmacy, are holding their own, while Rite Aid Corp., surely still reeling from the failed Walgreens Boots Alliance Inc. acquisition, remains healthier than it’s been in some time. Other regional drug chains continue to compete effectively, though without the glamour they had shown in recent years. Moreover, there is continuing growth here, as the regionals remain largely unaffected by the turmoil surrounding them. Still, the outlook for the future remains murky, in large part because retailing is changing. More specifically, a retailing era is coming to a close. Acquisitions as a growth vehicle are disappearing. The ability to grow organically is not as available as it once was. Drug store size is not the strategic weapon of the past, primarily because chain drug management is less certain about any particular store size. And the joint venture, once a solid road to growth, has largely disappeared as a viable option. What has rushed in to fill this suddenly apparent vacuum? No one is really sure. Alarmists believe the era of the conventional drug store is passed. Those less certain of a dire outcome insist that some new ideas are needed. Still others are certain that stronger management, bolder planning or more creativity will save the day. And there are those who believe nothing is wrong that a stronger economy won’t repair. Whatever the industry’s ills, this much is certain: The halcyon days of chain drug retailing in America are disappearing. Waiting to replace them are a new boldness on the part of chain drug retailing or new initiatives from an emerging retail trade class, or who knows?